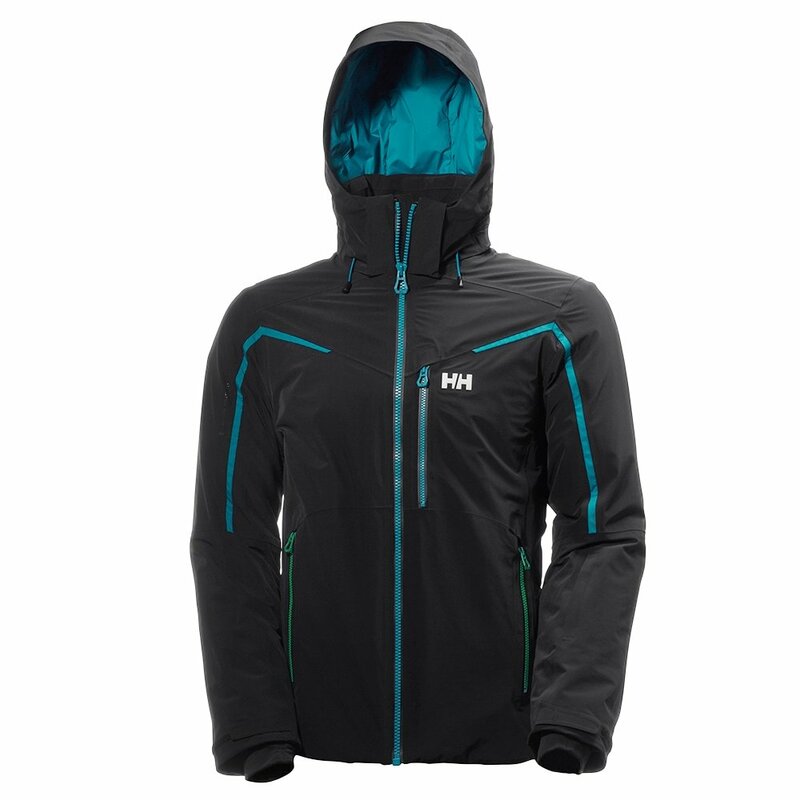 Because you can't choose the weather you encounter any given day, the Helly Hansen Men's Diablo Ski Jacket lets you outfit like a pro. Built workwear tough, this alpine jacket performs wherever you like to ski, from backcountry powder to fast groomed runs. Made with waterproof 2-ply construction with full, 4-way stretch capability, this ski jacket is filled with insulating Primaloft® down for the ultimate in warmth. It's ergonomically shaped for a natural fit and is loaded with features, including a zip-away powder skirt and a detachable hood that adjusts around your helmet. 2-ply waterproof construction with 4-way stretch offers comfort and weather protection. Primaloft® Gold Down Blend insulation keeps you cozy and warm. Detachable hood adjusts to fit around your helmet.